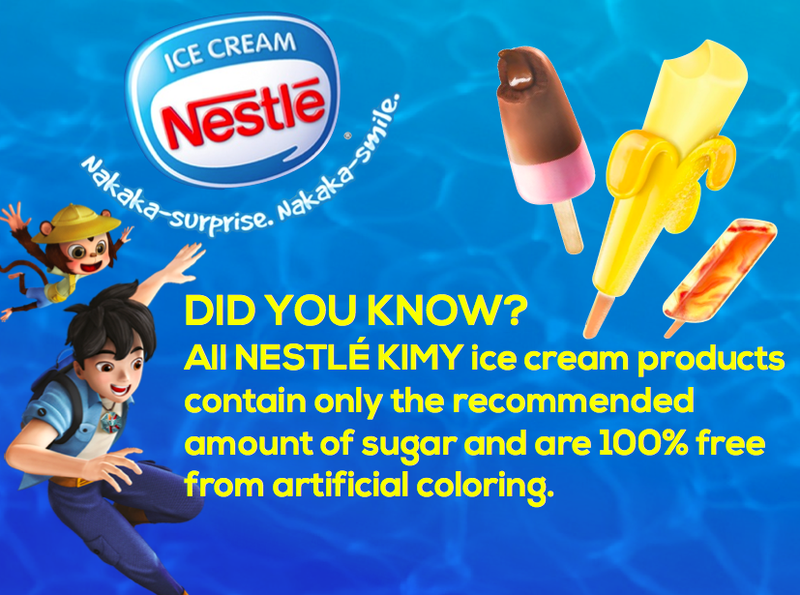 This surprise package came two weekends ago - I knew my girl would love it since she loves eating Kimy Yummy Jelly ice cream. What I did not expect was the Playstix! When I got home, I saw this unusual toy on the table. 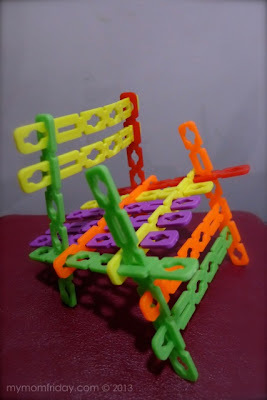 I could not figure out what it is. The helper told me it came with the ice cream. 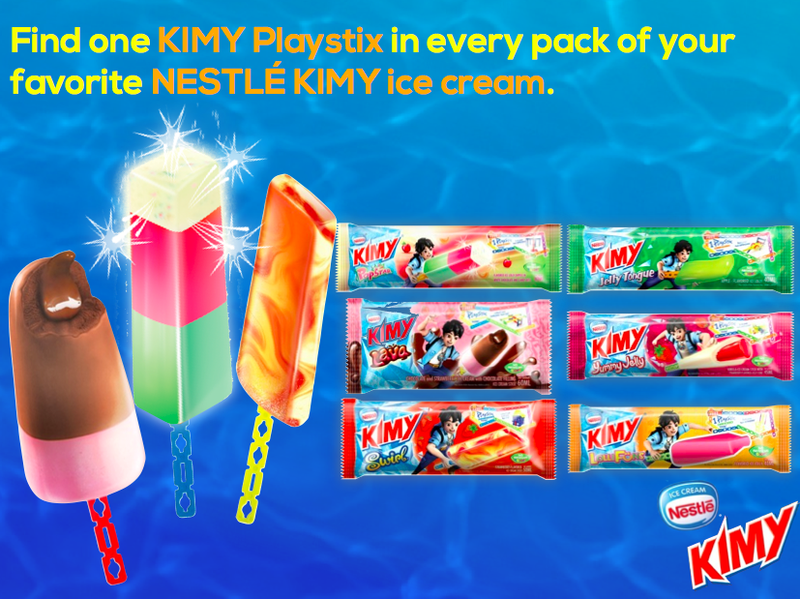 I opened the package and there were more Kimy Playstix inside! It's a great idea, quite unique, and allows the kids to be creative with it. 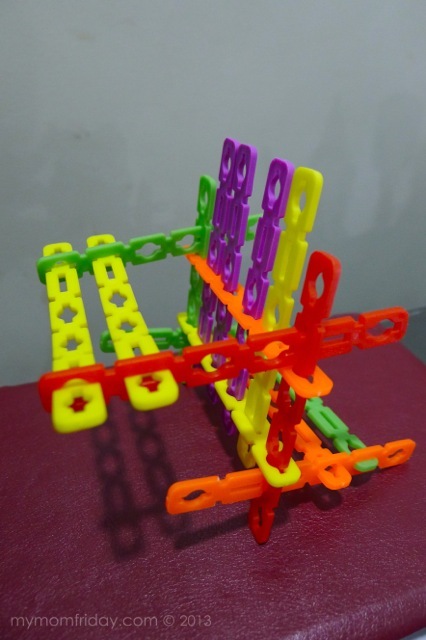 I knew there will be trouble coming when it's time to share this new toy between the youngsters. As expected, when I called the kids to see the surprise, the girl got her choice - Kimy Swirl, and then the box of Playstix included in the pack. Another surprise is that the Playstix is the one holding the ice cream! 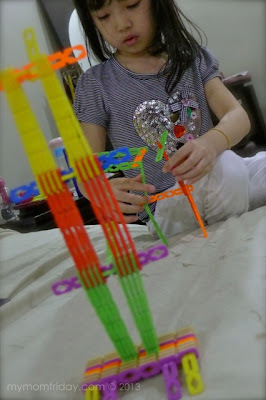 So, she quickly ate her ice cream, washed the Playstix and added to her creation. 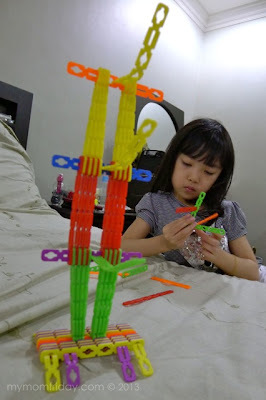 They did not want to dismantle the "Playstix Tower" that we got with the gift, but it was tempting when the boy and the girl started quarreling over it - counting who got more, and what colors they needed to create and complete their own toy. 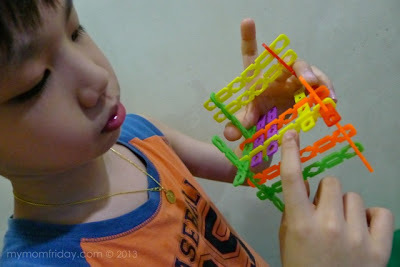 Despite the petty fight over this novel toy, I'm really glad they enjoyed playing with this and gave them a break from their gadgets. 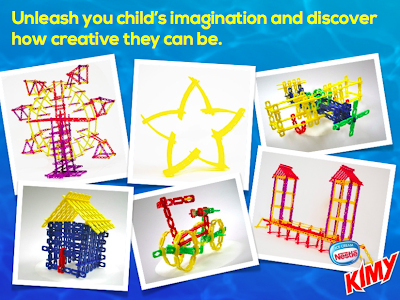 We can't deny there's lots of fun in simple toys and they'll find something new to try with these. Okay, so the boy said he's still missing a piece and doesn't want me to take a picture yet. 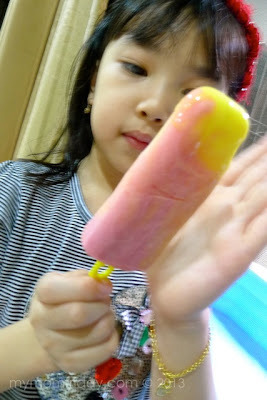 The girl doesn't want to share hers. 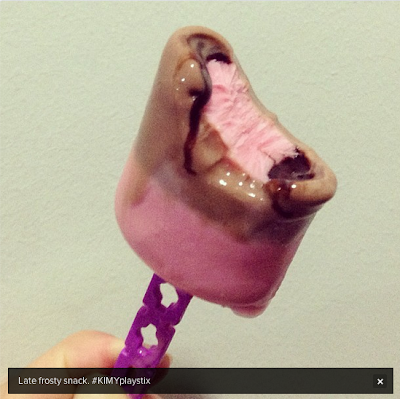 If you're following me on Instagram, you might have seen my post with this snack ... this is my creamy Kimy Lava. 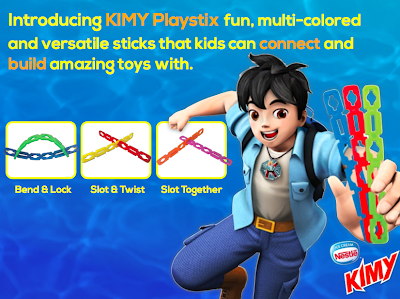 Well, eventually, my purple Kimy Playstix went to the boy. His creation is now complete. 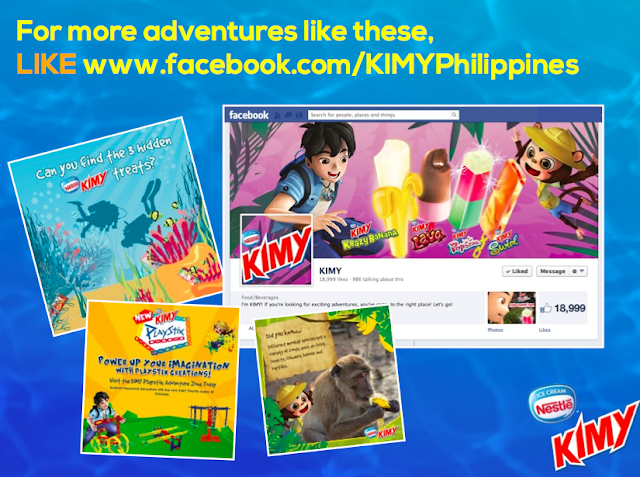 With Kimy, it's literally eat and play! I approve. 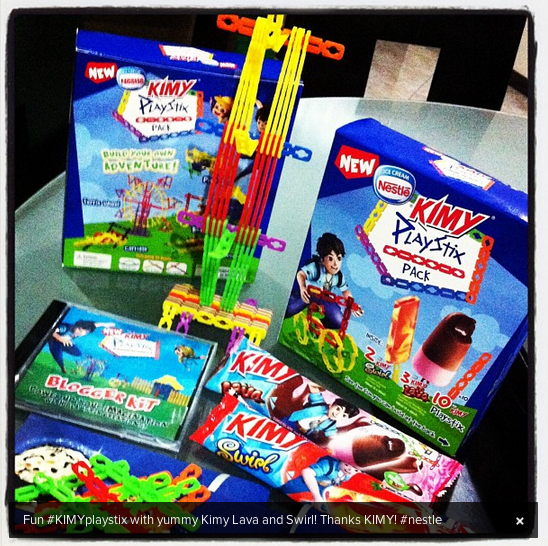 Kids, and even the big boys and girls, will surely have endless fun with Kimy Playstix! 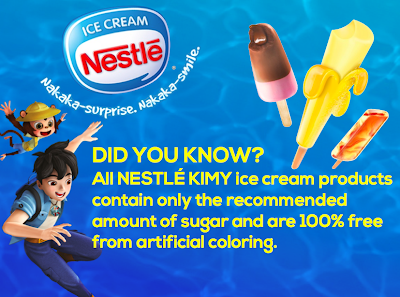 Have you tried Kimy? What's your favorite?